We’re entering the office party season now so it’s time for the usual flurry of Christmas related research. 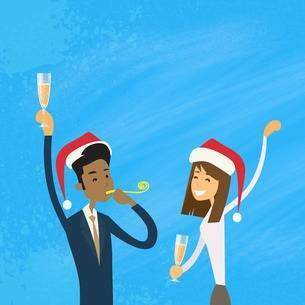 We kick off the season with this from XpertHR which claims that the majority of companies it has polled will host company-wide parties (50.8 percent) or departmental Christmas lunches (47.2 percent), but there will be fewer Christmas gifts, bonuses awarded or additional time off for employees this year. Employers plan to spend an average of £93.33 and a median of £50 per employee on their Christmas celebrations – a figure which hasn’t changed significantly since the last time XpertHR conducted this survey in 2012/13, when the median spend was £42.82. However, fewer than one in five organisations (17.9 percent) will be offering employee gifts this year compared to 21.1 percent in 2012/2013 and just 18 employers will award Christmas bonuses, with no increases planned compared with last year. Although the majority of organisations will close for Christmas Day (82.1 percent) and New Year’s Day (77.4 percent), employees looking forward to additional time off may be disappointed, with only one in eight (12.3 percent) employers planning to offer this benefit over the 2016/17 festive season. Also, just over half (51.2 percent) of employers require employees to be on standby or available for call out, not including those that are covered by standby or call-out arrangements, and almost a quarter (23 percent) said they will require some employees to work on the Christmas and New Year bank holidays. Whereas traditionally employers that expected employees to work during Christmas and New Year tended to award bonus payments, XpertHR has seen an increase in the number of companies offering time off in lieu instead. Whilst employers may be held indirectly liable for harm caused to other employees or third parties by the negligent acts of employees during company Christmas celebrations, nearly six out of 10 (57.3 percent) employers admitted they don’t have a policy in place setting out acceptable standards of behaviour. Where advice is offered to employees attending Christmas celebrations, it most commonly covers not to drink and drive (37.7 percent employers) and providing information on transport options (20.9 percent). Some employers also provide transport home (14.2 percent) or to nearby public transport (11.6 percent), whilst others pay for overnight accommodation or negotiate a corporate rate on their employees’ behalf to stay near or ay the venue. Research was carried out by XpertHR on the Christmas and New Year working arrangements of 252 UK organisations.